Imagine you are alone on the beach. Feel the wind and the salty smell of sea breeze, let go of your everyday worries and set yourself free. Our new swimwear collection consists of two one-piece designs that will flatter a wide variety of body shapes, and an assortment of three swimwear tops and three bottoms that you can mix and match as you please. 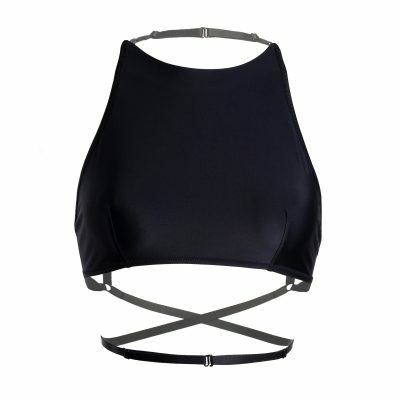 Swimsuits and bikinis are made from dureable recycled material that is perfect for swimming and being active. This collection is built around the layering trend – playing with different fabrics and textures to achieve a unique, one of a kind look. 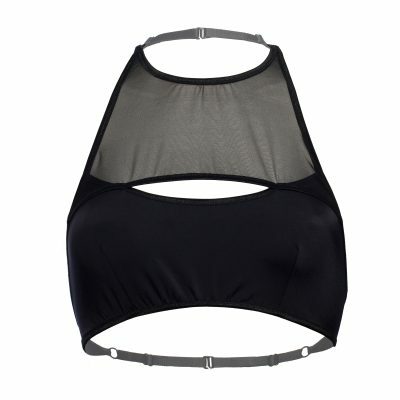 The black swimwear fabric and sheer mesh embraces body and brings out its most beautiful features. We had the photoshoot on a beach in Latvia to reflect becoming one with nature and freeing the wild, untamed side of you.